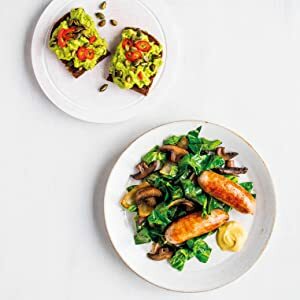 Six years ago, Dr Michael Mosley started a health revolution with the 5.2 Fast Diet, telling the world about the incredible power of intermittent fasting. In this book he brings together all the latest science - including a new approach: Time Restricted Eating - to create an easy-to-follow programme. Recent studies have shown that 800 calories is the magic number when it comes to successful dieting - it's an amount high enough to be manageable but low enough to speed weight loss and trigger a range of desirable metabolic changes. The secret of this new programme is that it is highly flexible - depending on your goals, you can choose how intensively you want to do it. 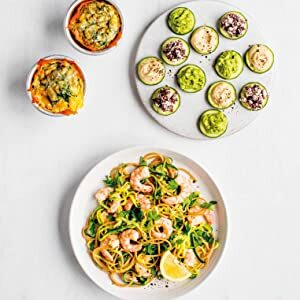 Along with delicious, low-carb, Mediterranean-style recipes and menu plans by Dr Clare Bailey, The Fast 800 offers an effective way to help you lose weight, improve mood and reduce blood pressure, inflammation and blood sugars. Take your future health into your own hands. Start reading The Fast 800 on your Kindle in under a minute. I am only 4 days into it and have a gut feeling that this is it, after at least 20 years of trying unsuccessfully to lose weight. Like much modern medicine most diet plans treat just the symptoms. This diet treats the cause. I am nearly 60 and was at the cusp of resigning myself to being fat until I die. I have tried more diet regimes than you have fingers to count them on, plus a few I made up myself. So I can confidently say that this time I have feelings of relief (finally) and confidence that my obesity sickness is being cured. If the diet sounds harsh, it is but it is also surprisingly easy! I am now enjoying every bite of my delicious food with no desire to keep on eating all day, no more fear of feeling hungry, and no more carrying snacks in my handbag "just in case"
Then I lost the plot a bit over a couple of birthday celebrations and put 3lb back on. However it's been easy to get back on track. And I've started losing weight again. I've read most of Dr Michael Mosley's previous books and found this to be a good update. It provides a mixture of Michael's experience, the latest research and some real-life case studies as well as a recommended (but non-prescriptive) programme. Some of it is familiar and some advice has changed (e.g. up the calories on 5:2 to make it more achievable and to get more nutrients). It's quite a quick read as well (and half is made up of recipes but they sound tasty). 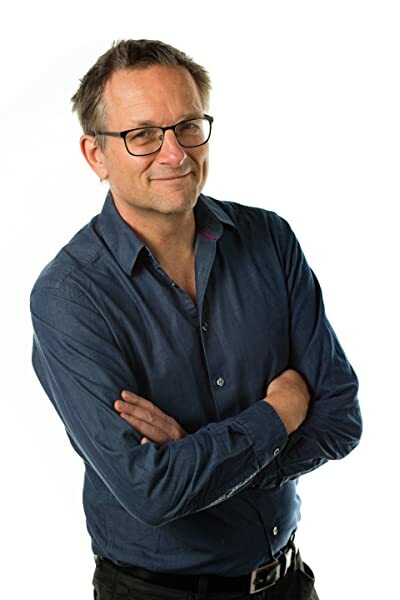 Michael Mosley has used the experience and knowledge gained over the last few years since The Fast Diet (5:2) plus I finished the book feeling quite motivated to get started. - 800 calories a day of a Mediterranean-style diet. Review your progress and goals after two weeks and either continue for up to twelve weeks or move to New 5:2. - 5:2 until you reach your goals. - Med-style eating in the main for maintenance (maybe with one fast day for health reasons and easier maintenance). Other recommendations are included, such as time-restricted eating and exercise suggestions. A lot of it will be familiar if you've read previous books, but it does provide updated research and is definitely worth a read if you want a boost and a little convincing to get started. As another reviewer has said, there is some encouragement to go to their website. This was the same in previous books but unlike e.g. the blood sugar diet website you can't get to forums and some info unless you pay to go on their 12 week programme. 5.0 out of 5 starsPractical health advice that works! I've followed Dr Mosley's work since watching the BBC Horizon documentary on fasting. I started intermittent fasting to become comfortable with being uncomfortable and avoiding eating poor food when travelling for business. This latest book refines his advice based on the latest Scientific research. 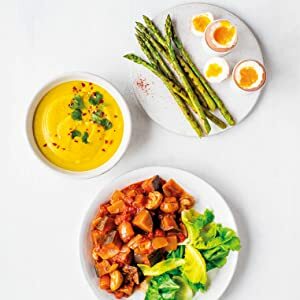 It is focused on the ideas of intermittent fasting (reducing your calorie consumption to 800 or less each day - which is surprisingly easy) and the Mediterranean diet (lots of Olive Oil, fruit and vegetables). The book is full of plain English explanations of the latest research, and has practical instructions on how to use this diet yourself. There are also a lot of recipes for meals which fit into the diet. 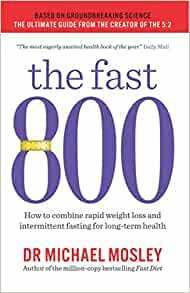 Having used intermittent fasting over the past two years, I'd recommend this book to anyone who wants to lose weight or increase their energy levels. Probably more use if you’ve not read any of the previous books as I have. It’s quite informative though especially as the evidence for fasting has been verified over the past few years. I did find the continuous plugging of their website irritating as I couldn’t get to any information (or give any) without signing up for a 12 week plan. Maybe that might change - I’m writing this on the first day of release in the UK (27/12/18].